I just discovered that our water department has a great blog. 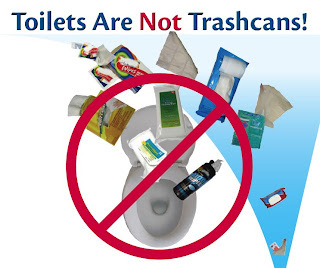 In the latest post they have a handy link about what NOT to put in the toilet, as well as all kinds of great environmental information. Those flushable wipes? A big no no! I wish more towns would do something like this!! !